Celebrity English: Do you have what it takes to be James Bond? 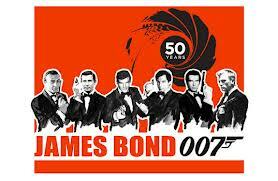 The latest release of Skyfall marked the 50th anniversary of the James Bond 007 film franchise. 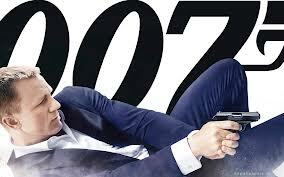 Currently Daniel Craig is starring as the legendary 007 British Spy. Adventure, intrigue, cars, women/men, futuristic gadgets, “saving the world” are all part of the James Bond "cloak and dagger lifestyle". This week I started to wonder what it takes to be a real spy. So in the tradition of James Bond I based this Celebrity English feature on a mixture of MI5 and MI6 security services. Here are some of the highlights I found. Need to be a British citizen of the home country; however there are some exceptions. Able to pass a high Security Clearance. Pass the medical test; physical and mental. Strong Desire to make a difference in the world! Intelligence Delivery Officers - Collecting, analyzing and reporting global secret intelligence. Administrators - Assisting with the essential daily running of the organization, through a broad range of administrative tasks. Technology - ensuring we have secure, innovative IT systems to communicate internationally. Corporate Services - Working with a range of departments such as HR and Finance. Language Specialists - Translating raw intelligence in many different languages and dialects from both written and spoken sources. Continued training in your field. Salary similar to many other organizations. Depends on skill, experience, and performance. Pension scheme comparable with the Civil Service. So now can you pass the test to become like James Bond? (1)Try our Intelligence Officer challenge, which will test your ability to maintain a simple cover story. Here are some common words you will hear in Spy Movies. Test Yourself for Fun! What do the following words mean? Just put a few notes or ideas beside each word. Answers and More Espionage Vocabulary! to be classified: something that is considered confidential or secret information; need a high level security clearance to view the information. to do/conduct surveillance: the act of carefully watching someone or something especially in order to prevent or detect a crime. to stake out: to do surveillance. to spy : to watch secretly usually for hostile purposes. to have one's cover blown: you have been exposed as being a spy. to keep/maintain a low profile: to behave in a way that does not attract attention. to sabotage: something: the act of destroying or damaging something deliberately so that it does. to destroy something : to cause (something) to end or no longer exist : to cause the destruction of. undercover: acting or executed in secret; specifically : employed or engaged in spying or secret investigation <an undercover agent/police officer>. clandestine: done in a private place or way : done secretly. <clandestine activities/organization>. considered secret or confidential without the permission of the holder of the information. a spy: (1)one who keeps secret watch on a person or thing to obtain information (2) a person employed by one nation to secretly convey classified information of strategic importance to another nation; also : a person who conveys the trade secrets of one company to another. an operative: a secret agent; a person who works toward achieving the objectives of a larger interest <political operatives>. a bug: a small hidden microphone (listening device) that is used to secretly listen to and record people. a conspiracy: an agreement by 2 or more people to commit a crime. a covert operation : a plan made in a way that is not easily seen or noticed : secret or hidden. a threat: an expression of intention to inflict evil, injury, or damage. 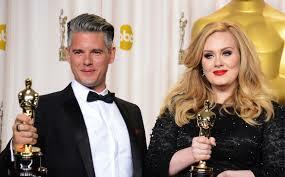 a bomb: a device that is designed to explode in order to injure or kill people or to damage or something. a terrorist: a person who uses or supports the use of terrorism <terrorist activities/attacks/bombings/threats> <a terrorist organization/group/network>. a sleeper (agent): A sleeper agent is a person who is recruited to an intelligence service to wake up and perform a specific set of tasks or functions while living under cover in an area of interest. a double agent: a spy pretending to serve one government while actually serving another. MI5: Military Intelligence, Section 5 - the United Kingdom's internal counter-intelligence. MI6: Military Intelligence, Section 6 - the agency which supplies Her Majesty's Government with foreign intelligence. FBI: The Federal Bureau of Investigation (FBI) is a governmental agency belonging to the United States Department of Justice that serves as both a federal criminal investigative body and an internal intelligence agency (counterintelligence). CIA: The Central Intelligence Agency (CIA) is an independent civilian intelligence agency of the United States government. It is an executive agency and reports directly to the Director of National Intelligence. behind closed doors: in private; only the people in the meeting know the information. cloak and dagger: dealing in or suggestive of melodramatic intrigue and action usually involving secret agents and espionage <a cloak–and–dagger novel>. Until next week! Enjoy the Skyfall trailer and the original Dr No. Your article is as usually brilliant! I like your lessons with vocabulary exercises and often use them in my lessons. And thank you for the link to my blog! Thank you! I am more than happy to support your English language learning blog 'English for Alya и не только'. It is always fresh, interesting, and detailed. It is also wonderful that you are creating international bridges between countries!